The debate about our national anthem is a ceaseless one — the ones related to undermining Jana Gana Mana and pushing forward Vande Matram, so to say. To undermine the Jana Gana Mana time and again, questions have been raised about its having been written in praise of George V, the king of England. This issue was brought up once again by Kalyan Singh on July 7, while speaking at a function organised by Rajasthan University. Singh, who was the Uttar Pradesh chief minister when the Babri Masjid was demolished despite his undertaking to the National Integration Council that the mosque will be protected, has a BJP background. He said that the word “adhinayak” in the national anthem refers to the foreign power, so it should be replaced by Jana Gana Mangal Gaye. This is a totally distorted understanding of the events as they took place. Singh, while asking for this amendment, also says that though he respects Rabindranath Tagore, this change is needed in the anthem. Surely what he is demanding is unwarranted. The perception that Jana Gana Mana was written in praise of George V is based on media reports of the time, which were not very accurate. The media in the early 20th century was pro-British and was not too familiar with local languages. Hence the follies and sloppiness in reporting. Jana Gana Mana emerged as the most acceptable song to be the national anthem as it reflected the pluralism of the country. This perception that “adhinayak” is a reference to George V has been perpetuated by the English media. In 1911, when George V visited India, the Congress wanted to thank him for retracting the British decision to partition Bengal. This was the first success of swadeshi movement, the first major step in the modern anti-colonial movement. The movement, which had begun in 1905, wanted the government to revoke its decision to partition Bangal. During the session of the Congress that commenced on December 26, 1911, two songs were sung on the same day — one written by Tagore, Jana Gana Mana, and the other that of one Ramanuj Choudhary, who had composed a song especially for George V.
The English media was neither accurate nor serious about properly reporting such events. So what was reported by the British media was that Tagore song was sung in praise of George V. As such, the intent and meaning of what Tagore is referring to was correctly described by a commentator in the vernacular press: His song was in “praise of the dispenser of human destiny, who appears in every age”, and not George V, as projected by the Anglo-India media. When Tagore was asked by a friend loyal to British to write a song in praise of George V, Tagore was angered, as he was opposed to the British rule. Instead of one for George, he wrote a song devoted to the dispenser of human destiny. 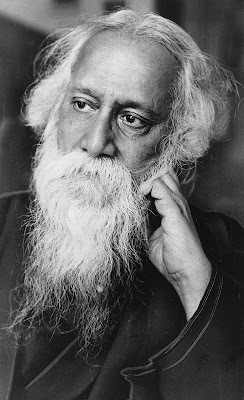 When faced with the British media’s projection and such criticism, Tagore wrote “That great charioteer of man’s destiny in age after age could not by any means be George V or George VI or any George. Even my ‘loyal’ friend realised this, because, however powerful his loyalty to the king, he was not wanting in intelligence.” The song gained popularity all over and its English translation, “Morning song of India”, also picked up in different parts. Netaji’s Azad Hind Fauj adopted it as the national anthem and Gandhiji went on to say, “the song has found a place in our national life”. Communal elements favour “Vande Matram” and are uncomfortable with Jana Gana Mana because of its message of pluralism, and so keep searching for pretexts to undermine it.